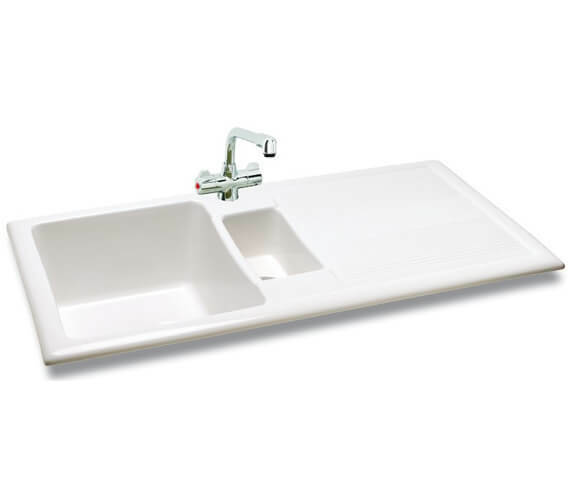 Clean, white and simple, the Carron Phoenix Shonelle 150 White 1.5 Bowl Inset Kitchen Sink is a stripped down, modern sink installation that can add functionality to any kitchen without detracting away from its overall aesthetic. 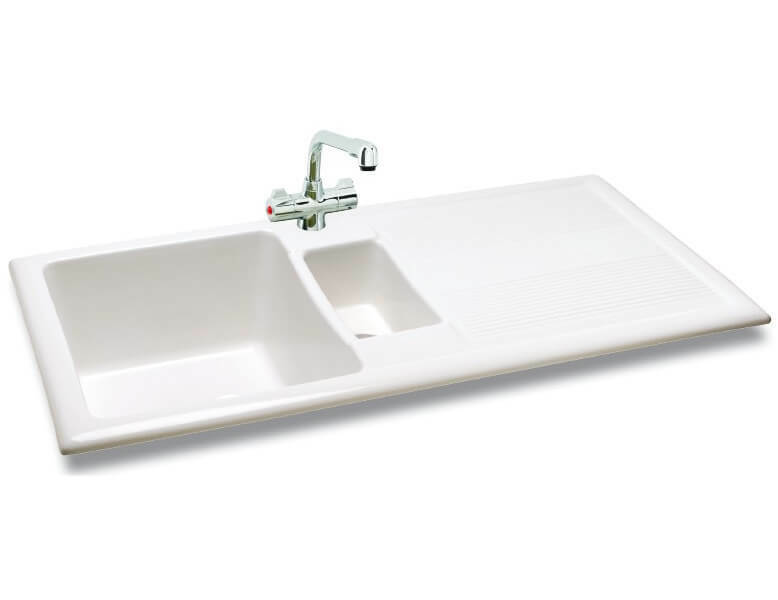 The sink features a small bowl and a large bowl for accommodating both small and large pots. 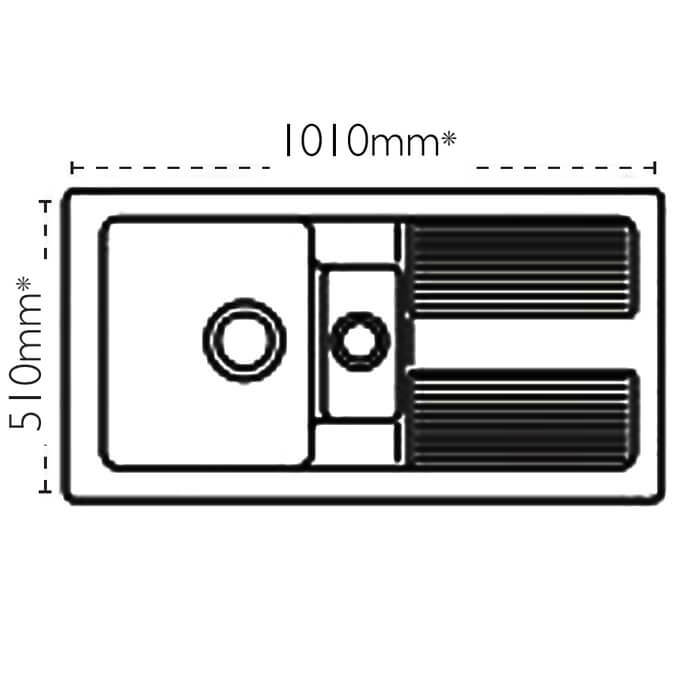 The larger bowl measures 360 millimetres in length by 420 millimetres in width by 220 millimetres in depth while the smaller bowl measures 130 millimetres in length by 260 millimetres in width by 120 millimetres in depth. 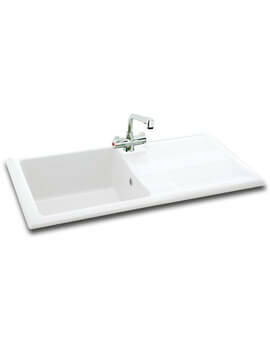 Its ceramic construction affords not only durability but also makes the sink simple to maintain. Note : Ceramic sink dimensions may vary +/- due to firing process.